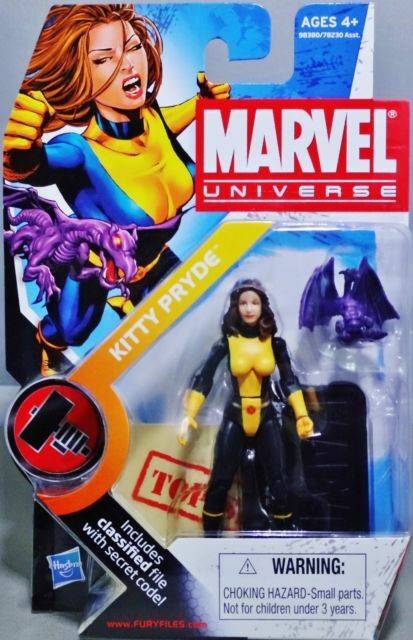 Once Kitty Pryde was announced at the Toy Fair to be part of the next wave of Marvel Universe toys, I went crazy looking for it at Target every other week. Then I gave up and one day at ShopKo, there it was! She is the 17th action figure made in the line, that’s pretty impressive!